Studies, medical societies and position papers are unanimous in their condemnation of inappropriate antibiotic prescriptions for an uncomplicated URI … but not a single voice tells us HOW to do that. So often these office visits are acutely uncomfortable for the practitioner. The easiest thing is to simply write the prescription … and at the same time, antibiotics for a virus are always inappropriate. Here is just one example of an official guideline (from the AAFP) on antibiotics for a virus. Notice the exquisite detail on the mechanics of diagnosis and the research basis for treatment recommendations … and not a word on how to talk to the patient. Yikes! Let me give you a three part structure you can use in your patient conversations when they request antibiotics for a virus. I will even give you some exact words to try out. Know from the start that there are three things going on inside the patient simultaneously when they walk in demanding antibiotics for a virus. And each of these must be addressed for the two of you to be comfortable at the end of the “antibiotics for a virus” office visit. Their Primary Experience is Misery. 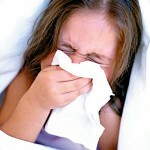 Remember the last time you had a snotty cold, bad cough, chills AND you missed work AND all the kids were sick too? You waited 3 days to get over it and still felt terrible. You just have 2 days of sick leave left in the year and it’s only March. You’ve got the picture … yes? Even you might have wanted antibiotics for a virus at that point! … show compassion, meet them in that shared place of suffering because you have been in that situation too. In most cases this is a person who doesn’t come to the doctor often. When they think they need antibiotics for a virus … they have been feeling pretty raunchy. If you have a major challenge working up some empathy one of two things is happening. - You are experiencing some level of Burnout. Empathy is the first thing to go when You are not getting Your needs met. This is a whole different topic and “Compassion Fatigue” is a well known early sign of significant Burnout. - You are not fully present with the patient and their experience. In many cases this can be addressed by taking a big relaxing, releasing breath between each patient and consciously coming back into the present before opening the door. Their Primary Experience is worrying that “something serious” is going on here … that this is more than just a cold and needs more than just chicken soup. They want a doctor’s opinion so they get treated appropriately for what is REALLY going on. They respect your knowledge and professional diagnosis AND they are scared this is something more than just a “cold”. Take a focused history , do a focused exam and give them a well reasoned diagnosis – no matter how many “cases like this” you have seen this week. The patient’s assumption is not only incorrect … it is potentially very dangerous. We are on solid ground here for a specific educational conversation. Tell them what you know as a trained and experienced physician. 5) Antibiotics can cause diarrhea, yeast infections, allergic reactions and are a major cause of antibiotic resistant bacterial infections. Some of these complications can be fatal. We want to use antibiotics when we know they will work … otherwise the risks outweigh the benefits. Do this in words first AND in a handout. Please don’t just hand them a lame, one-page handout, turn your back and walk out of the room. this has become a Boundary Issue. What are your Boundaries around this inappropriate and potentially dangerous request? “I am so sorry you are feeling this way. And I understand how Larry down the hall got antibiotics last week and is better this week. I wish that would work in your case … and it won’t. Persistent confrontational encounters with a specific patient are signs that the two of you are unable to establish and maintain a “therapeutic relationship”. This is solid grounds to enforce your Boundaries again by asking them to find a different physician. I encourage you to grab a partner … a colleague, friend, your spouse or significant other and do the most productive thing possible to increase your skill in this important conversation … PRACTICE. Have your partner be the sick person. Try out the phrases above and adapt them to your personal style. Then reverse roles … YOU play the patient. Reverse them again and be the doctor again. Role play this until you are comfortable and your “empathy phrases” are second nature and TRUE for you. Try these out for yourself. Please leave a comment with your communication tips on this common and difficult clinical interaction. What works for YOU when a patient requests antibiotics for a virus?